Mixed feelings after last week’s events with Tshwane victor George Coetzee getting a big thumbs-up from our European Tour columnist, and being the successful part of a promising-looking double. Unfortunately, neither Bubba Watson or Xander Schauffele could improve decent half-way positions and, as is the worry with this bet, we ended up with nada. This week we move on to two events where driving distance should be of little relevance to the outcome and accuracy from fairway to green will win the day. First up Valspar where, as one column says ‘par is not the enemy’. Looking back at recent stats distance off the tee hasn’t had any impact whilst hitting greens-in-regulation and scrambling are huge factors. Indeed, four of the top-6 ranked GIR last year finished in the top five whilst in 2017 four of the top-7 finished on the front page, another two just behind in 11th. Scrambling reads much the same, whilst the five par-3s also hint that finding the short stuff is key. As well as all these dominating factors, there looks to be an event and course correlation with the likes of the St.Jude at TPC Southwind and the Career Builder (formally Humana and Bob Hope) at La Quinta. Through that, hints of results at the Honda and Houston Open give strong evidence to the type of player required. For examples, Daniel Berger, twice winner at St.Jude, has finished in the top echelons at Houston as well as multiple high finishes in Arizona whilst one of his 5th placings at Houston was behind surprise winner Jim Herman, who happens to back up his sole win in top grade with a third here last year and a T7 at the Honda. On and on it goes. Jon Rahm, winner of this year’s CareerBuilder boasts numerous combined good finishes in Pheonix and at Houston, whilst last year’s winner round here Adam Hadwin has two top-3 finishes at La Quinta (and a T6), third Dominic Bozzelli finished top-5 at the CareerBuilder, and the two previous winners have form at Houston. Geddit? First selection has to row along with Bozzelli especially after that 13th last time in a good class field at PGA National. His 10th in the St.Jude last year gives further evidence to his ability in these conditions and all that after being very comfortable in front when winning his maiden web.com event. His form is heading in the right direction and he spoke extremely well after that maiden win, indicating he was happy to keep improving and to win more. Based at college in Florida for a while and comfortable here, this very good putter should see his tee-to-green efforts keep many bogeys off his card and I was happy to play around 75/80-1 this week. Another main tour maiden, Bud Cauley, was very high on the list until he withdrew from the Honda with a wrist injury so his inclusion here takes a chance he is fully recovered. However, his claims look as good as any of the three-figure prices on offer and I am happy to judge him on a number of decent comparative efforts. Third behind Swafford and Hadwin at La Quinta last season (Bozzelli 5th), a tenth at The Heritage found him surrounded by the more accurate players of the field whilst his best of a five-event 2018 sees him 14th at the CareerBuilder where a poor third round was negated by a strong final 66. If he is going to win one on the tour it will surely be under these conditions and if fully fit, he can go close at a similar price to last year. I know, you know, we all know that Charles Howell III is a top-10 machine in events that call for accuracy. We also know he hasn’t won an event for over ten years but such is his consistency that even his four top-10s around here do not appear in his best twenty events, those reserved for placings in the top-3! However, as said before, with this bet we are looking for a couple of nice priced places and at around 80-1, the Florida resident needs including with a tee-to-green game that just shouts out. I looked strongly at Charley Hoffman and Sam Saunders who both have the game for here but despite having reservations about his current will to win I have to include Charl Schwartzel at around 66-1, a price that doesn’t reflect his love of Innisbrook with a win in 2016 followed with a 6th when starting slowly for the second year in a row. Indeed, look at that victory podium, a play-off win from Bill Haas, in front of Ryan Moore, DeLaet, Berger, Chucky 3-sticks….just a perfect Valspar board! Current form isn’t leaping off the page with a couple of top-15 finishes continuing to knock him down the OWGR but now ranking 50th, he needs a good result to keep his place amongst the elite and where better to bounce back? Over at the Hero Indian Open, the event returns to the snappily-titled DLF Golf and Country Club in the hope of avoiding the almost universal slating of 2017. As far as I can make out players don’t mind difficult tracks – note the praise heaped on Le Golf National or Valderrama (oh, wonderful Valderrama, that famous stage show) but players, journalists, and punters all seemed to have a go at a course that was considered unfair and mentally wearing. Perhaps it was- I’m watching it from a sofa in East London- but the facts are that defending champ, SSP Chawrasia, was a demon from the rough and putted like a dream to saunter clear throughout the weekend and now lines up attempting a stunning hat-trick. Going off at a stupid price last year due to the belief the course was a monster and couldn’t suit, he has been slashed from an opening 50-1 to half those odds and really cannot be considered at that. Initial shows had Chris Wood and Joost Luiten at much shorter than they are now, with both Shubhankar Sharma and Anirban Lahiri bigger than the current 14-1. For me, if Sharma is in the same form that won the Joburg and Maybank this year he is a steal at anything over 10-1. 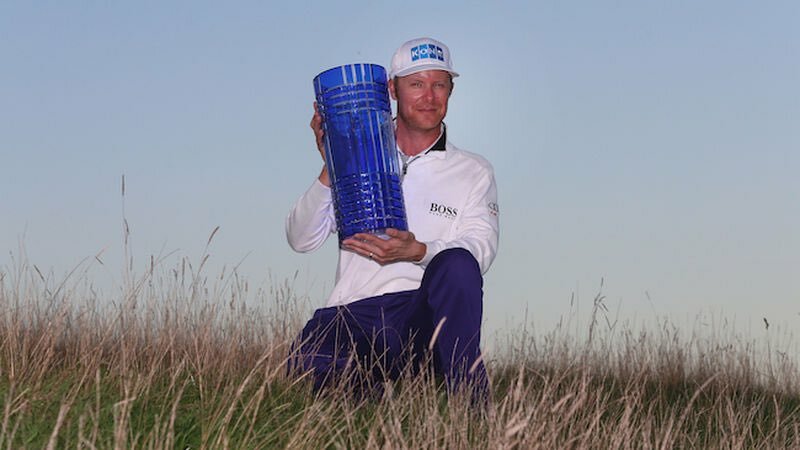 But, and it is a big but, whilst last weekend’s 9th at the WGC Mexico is leagues above the quality required this week, he has to be mentally tired, possibly slightly disappointed and will be facing a huge barrage of media pressure like never before. At the end of last year’s event I was prepared to have a big bet on market rival Lahiri. 5th after not really contending in 2017, he looked set to go much better but his form has tailed off completely, his media comments suggest he isn’t entirely happy with his game and he just can’t be trusted at the price. Course experience would seem to be a requisite here given the strange conditions and first up, and an each-way single for me, is improving 24-year-old Poom Saksansin. Runner-up in his first professional season to Asian legend Thaworn Wiratchant at the prestigious Queens Cup when admittedly nervous in contention, he has plenty of improvement left at 24-years of age and may be ready to step up a notch in similar style to many of the Asian players. Following a progressive amateur profile he won his maiden in October 2016 beating a decent home field before finishing a closing 13th a week later, just before injury struck and he took the rest of the year off. Since then the young Thai has finished top-30 in the European Open in Portugal, top-20 in Crans, won his second Asian Tour title and recorded a series of decent finishes at the HSBC at Sheshan, Hong Kong and three home tour events in January reading 10/12/7. It is encouraging that he won two from three at the Eurasia Cup in between all this including a singles defeat of Paul Casey and has warmed up for this week just missing out on the pay-offs in Perth before a closing 66 repaired some of the damage caused by a third-round 73 in New Zealand last week. Lack of length here shouldn’t be an issue, rather his improving iron play and scrambling gives him an advantage over many and he is certainly expected to leave last season’s sighter in 22nd (opened 76/74) behind. Picking between the middle order is tough. I can see huge chances for the likes of Andrew Johnston, especially on his form in Valderrama, but it’s first visit and he could fail through lack of experience of conditions, whilst Aaron Rai is continually mulled over and has that impressive win in Kenya to boost his claim, especially given he has a short game to die for – again, it’s his first look though. I’ll play much safer with the old guy Prom Meesawat, who looks a safe conveyance given recent form including a final 16 in the ridiculous Super-6, four top-10s since August 2017 on top of four further top-20s. Almost certain to be too wizened to get hot-under-the-collar about the challenge this week he was 13th last year and is another for whom everything will depend on putting, his tee-to-green ability as good as ever. One of my old favourites Edoardo Molinari is impossible to read nowadays. I backed him in Qatar following an encouraging 16th in Oman and he predictably blew out after an opening 66. His iron play remains one of quality, though, and we know he has a short game that will compete anywhere – it is a matter of putting it all together. Just outside the top-10 here last year despite four double-bogeys he seems to like the set-up, no real surprise given his results at the likes of tricky Crans, the Trophee Hassan, the Maybank and even going back a few years, at Kenya. Back home for the final selection with Gaganjeet Bhullar, who varies between 55-1 and 100-1, suggesting ‘they’ don’t really know what to expect. What we do know about the soon-to-be 30-year-old is he is a winner of eight events on the Asian Tour as well as the inaugural Kensville event, held for a short while on the Challenge Tour, played on a very narrow course with tough greens and won in 5-under. Well, at least that suits! Bhullar’s stats read very well for this week, ranking consistently in the top-10 for accuracy off the tee whilst he topped the GIR stats at Mauritius and in Malaysia within the last few weeks. Last season’s mid-40 finish is average but he ranked 3rd for driving accuracy and clearly didn’t show his best iron play – that first look should help and as a player that consistently shoots mid-60 rounds, he is far more a 50-1 shot than double that price.